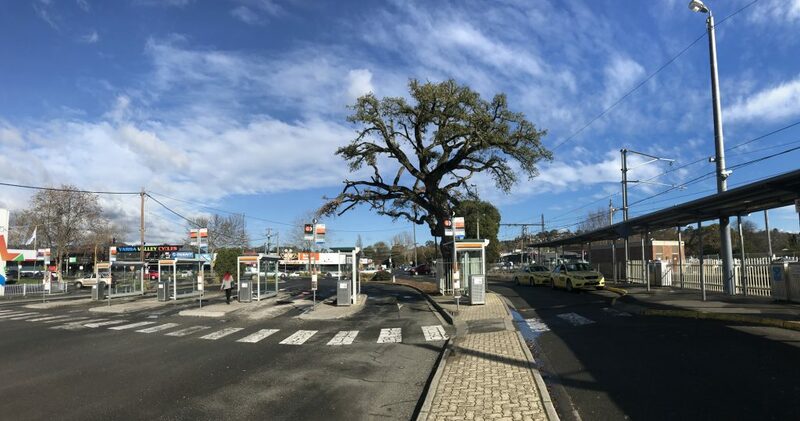 We were saddened by the removal in July 2018 of a landmark Cork Oak (Quercus suber) at Lilydale Station, a tree included on the National Trust Register of Significant Trees and highly valued by the local community. This Cork oak was a fine specimen in its own right, but it also had a tangible link to an era of over a century ago when stations were significant centres of local activity and many were surrounded by impressive and well-maintained gardens. This Cork Oak was the only surviving plant from the station’s garden, established sometime after the station began operating in 1882. The tree showed a curious growth in one dominant limb and passers-by could appreciate the depth of the cork bark on this limb and the trunk. 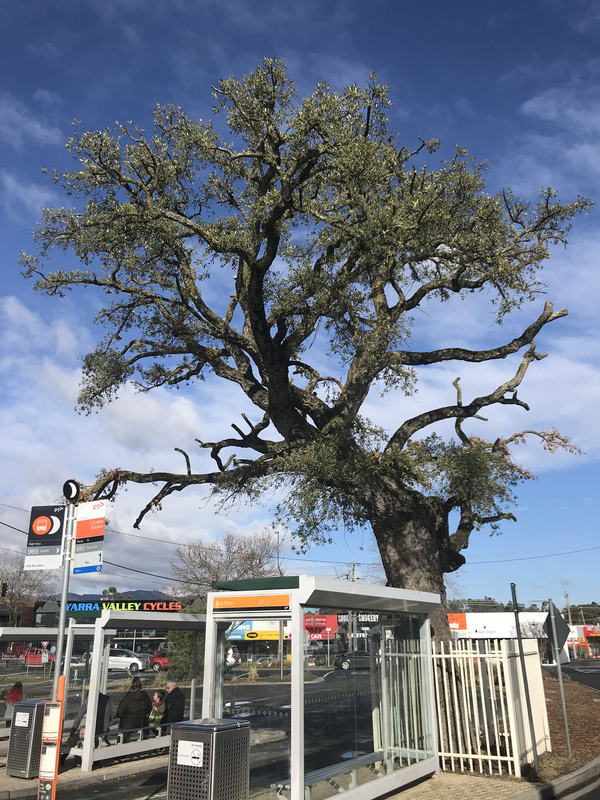 This impressive tree was a rich link to the past as well as providing shelter to the public from the weather, habitat for birds, and improved air quality at Lilydale Station. The tree was a landmark, and highly valued by the local community. 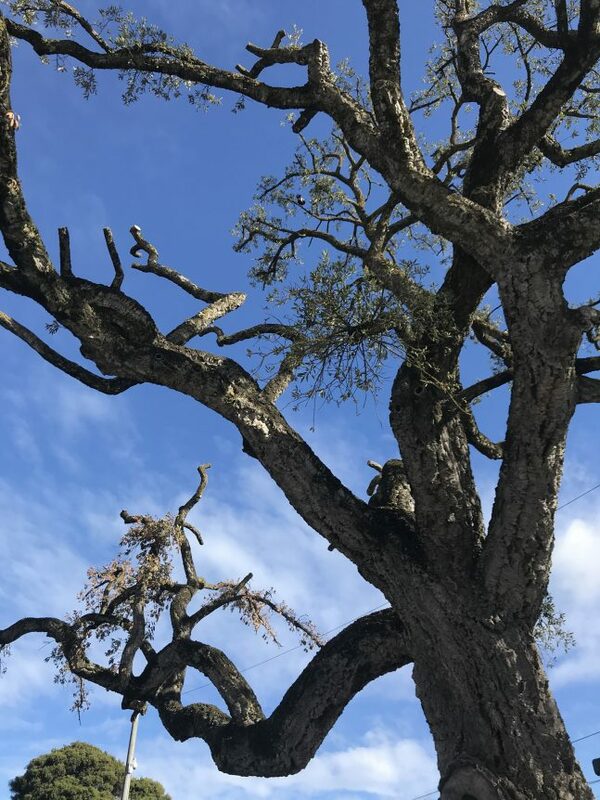 The National Trust, together with the local community, and Yarra Ranges Shire Council, had advocated for better management of this tree since it’s classification on the Significant Tree Register in 2009. The tree was removed due to being in advanced stages of structural and health decline, from which it was expected that it would not recover. The National Trust takes the removal of significant trees seriously, and we have called on Public Transport Victoria and Metro Trains Melbourne to replace this tree, and to take steps to better protect significant trees on railway precinct throughout the state. Other examples of significant trees in rail precincts include a stand of Drooping She-Oak along the Illabarook Rail Line Conservation Reserve, an outstanding Cork Oak at the Dunolly Station, an impressive row of Canary Island Date Palms in the garden at Mildura Railway Station, and a large Cabbage Tree at Timboon Railway Reserve. Below photographs of the Cork Oak at Lilydale Station just before its removal.